Benchmark’s databases are not about big data, but the right data. We create information by manually linking supporting documentation related to the life of an intangible; patent registrations, license agreements, 8Ks, press releases, and financial statements. The storyline involves technical, legal, economic and market perspectives that can only be seen when assembling all documentation available in the public domain directly related to a specific intangible. Our ‘Benchmark’ database of royalty rates is supported by thousands of license agreements filed with the US Securities & Exchange Commission (SEC). Using a rigorous combination of text mining tools and manual review, we have identified and processed license agreements omitting those agreements with redacted pricing data. This means you can be confident that your results will fully support your needs. For every license agreement, we extract and normalize the pricing structure, licensing terms, and summarize the underlying intellectual property in order to facilitate reliable comparisons of license terms and royalty rates. 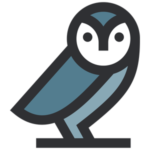 Tidy data dramatically helps with data analysis and means you don’t have to spend time churning through noisy legal excerpts. Our high-quality data means you can rely on high quality results and focus on in-depth analysis. The text of license agreements is the foundation for analyzing intellectual property. However, lack of information can typically result in misinterpretation, because without proper context, the descriptions of the intangibles are often meaningless or potentially misleading. At IntangibleSpring, we utilize multiple data sources to provide further insight. 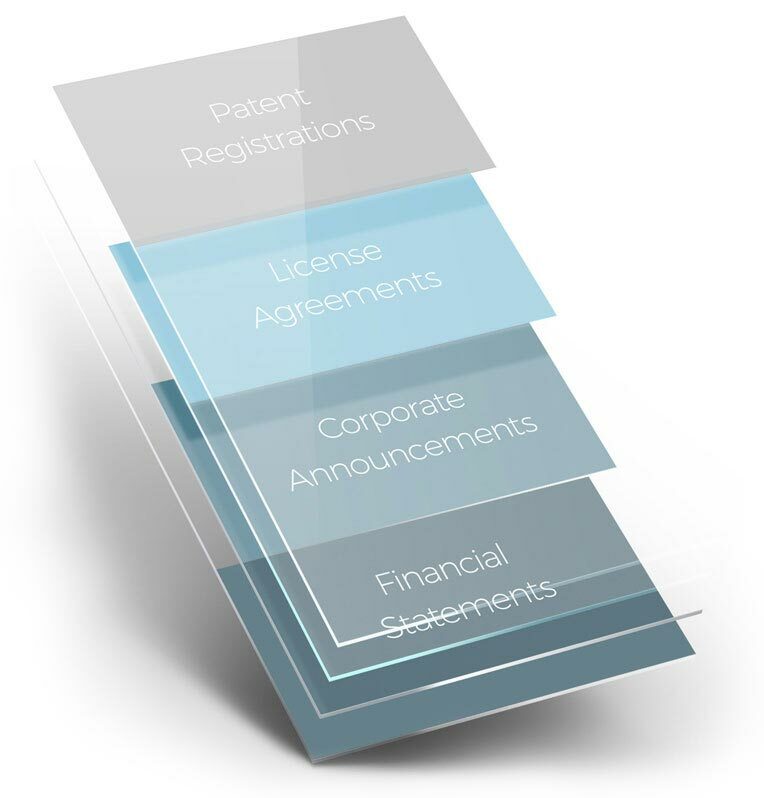 In addition to license agreements, we collect and process additional support documents related to every intangible, such as 8-K announcements, press releases, patent and trademark registrations. We also provide company financials and information related to the phase of development of pharmaceuticals. Additional data sources not only saves your team time and money but complement the information in the agreements while providing fuller context to the underlying transaction. 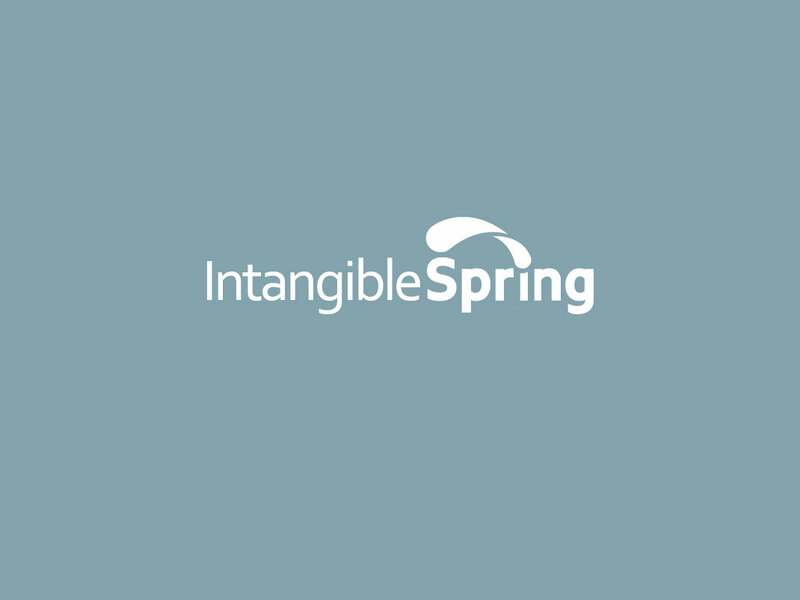 When we began designing IntangibleSpring’s tools, we considered every detail in royalty benchmarking analysis — the search, review of results, acceptance and rejection matrices, statistical analysis, and data export. We challenged ourselves to create the most user-friendly interface that would integrate all of these aspects into a streamlined single-screen application. You can use neatly organized categories to quickly launch detailed searches with accurate results. While agreements are detailed in payment structures and license terms, they tend to lack information necessary to perform reliable analysis. We compile and process information —such as the size of the parties, phase of pharmaceutical development, and specifics of the licensed intangibles— from sources external to the agreement. Comparing pharmaceuticals in different stages of development can produce misleading results. This information is critical and rarely found in licensing agreements. IntangibleSpring's analysts have searched the public domain for each pharmaceutical's stage of development at the time of the license. The statistics section is not only a great tool for analyzing small sets of data ―such as calculating an interquartile range of arm’s length royalty rates― but it can also be used to explore entire industries; e.g. ; all patents in the chemicals industry. Normalized fields summarize the underlying intellectual property in order to facilitate reliable comparisons of license terms and royalty rates. The search results table displays information transparently. You do not need to pay transactional fees to view critical fields during initial screening steps.